Gizmodo reports about Qool Labs new GDA Oh!. It runs on Windows Mobile 2003 2nd Edition OS. 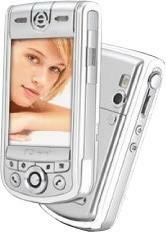 It also has a 1.3 MP Camera, MSN Messenger, MSD Excel and more.